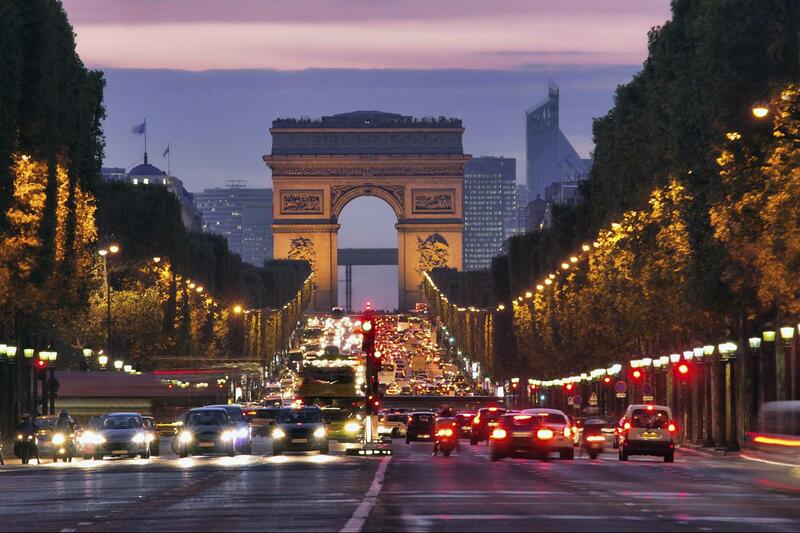 Paris tourism has been in the last decade, ranked in the top three most popular destination on the planet. Paris is France's capital city and is located in the north of the country on the River Seine. The city is recognized for its romantic charm and ambiance with fantastic outdoor cafe's, the aroma of freshly baked croissants filling the area and stunning residents that are clothed in the most stylish fashions. Paris has a notable history that is felt when within the city. The city also possesses amazing architecture, style and atmosphere that make being there a pleasurable experience. Paris has a couple of airports that make flying there an easy option. It is also linked with outstanding road and rail services. Euroline buses run constantly to and from the city in all directions. Ferries cross over from the UK to nearby ports for those who are looking to take their own car. About 23 kilometres north east of Paris near the village of Roissy-en-France is Charles de Gaulle airport. This is largest airport serving Paris, it has two terminals, the second of which is split into terminals 2A, 2B, 2C, and 2D. (Tel. 01 41 56 89 00 for recorded message in French and English)This bus service leaves every 15-20 minutes between the hours of 5h40 - 23h and drops passengers at Porte Maillot, Etoile/Place Charles de Gaulle, or Gare Montparnasse. The travel time is around 25 minutes if traffic is clear; an hour or more during rush hours. There is additionally a bus which runs direct to Orly Airport. An RER/TGV station serves the Charles de Gaulle airport directly. Trains depart every 15 minutes during the hours of 5h30 - 23h30 to downtown. The travel time to Gare du Nord is 35 minutes. Orly is situated 14 kilometres south of Paris near the town of Orly. It has two terminals commonly refered to as Orly-Sud (Orly South) and Orly-Ouest (Orly West). (Tel. 01 41 56 89 00 for recorded message in French and English) Buses leave every 15-20 minutes between the hours of 5h40 - 23h and drops passengers at Gare d'Austerlitz, Gare Montparnasse, or Gare St-Michel. Travel time is around 25 minutes. There is also a direct bus to Roissy Airport. As Paris is such a large and popular city there is every type of accommodation available to suit all budgets. The only problem with accommodation is that you must book well in advance as the city gets busy with visitors, especially during fashion shows. The whole of France is renowned for its cuisine and wines. 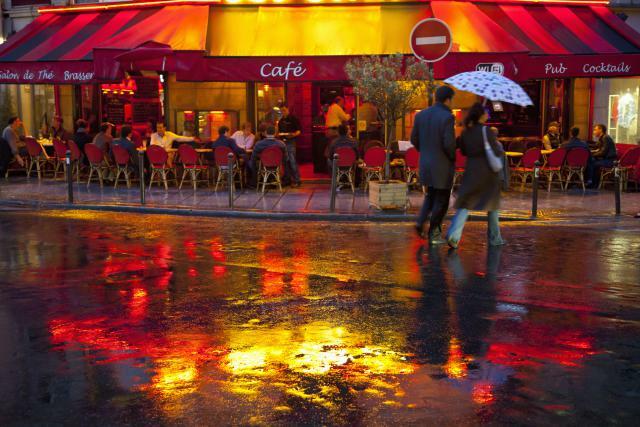 Paris in particular is one of the best places in the country to go out to restaurants. Parisians take their food very seriously and tend to eat two sit-down meals a day. 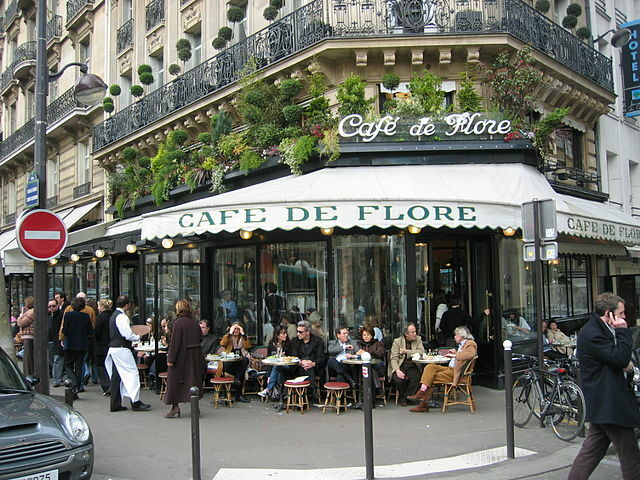 Restaurants, cafe's and bars are found just about everywhere in Paris so you will always find something for your taste. The city of Paris dates back to more than 2,000 years ago when it was first built. It developed into a metropolis after it was overruled by Julius Caesar in 52 BC. The city is linked to the French Revolution that saw the killing of thousands of people. Although Paris has a somewhat violent history, these days the city is a charming place to visit where many people fall in love in its wonderful atmosphere. Paris is known for its magnificent architecture layout. 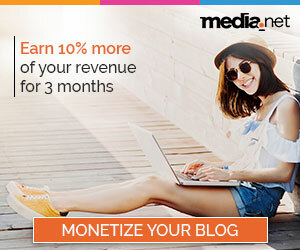 If this interests you be sure to visit Sacre Coeur Basilica. 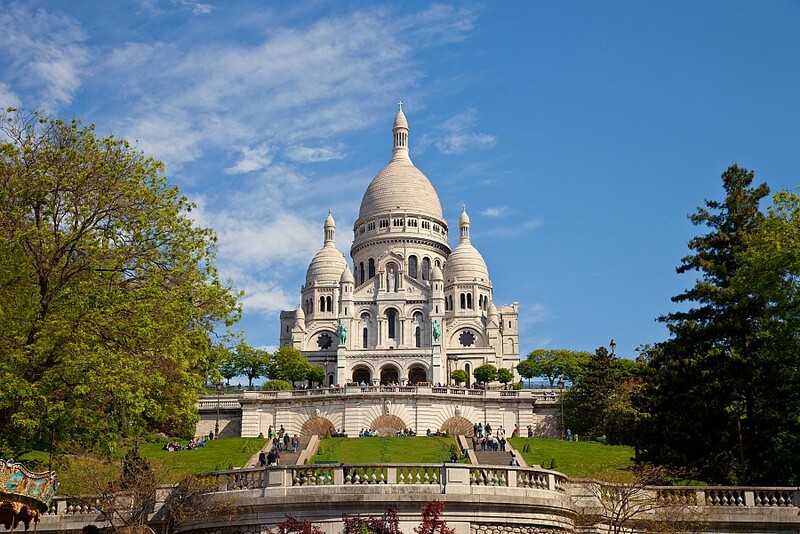 It is located on the butte of Montmartre and provides wonderful views of the city. 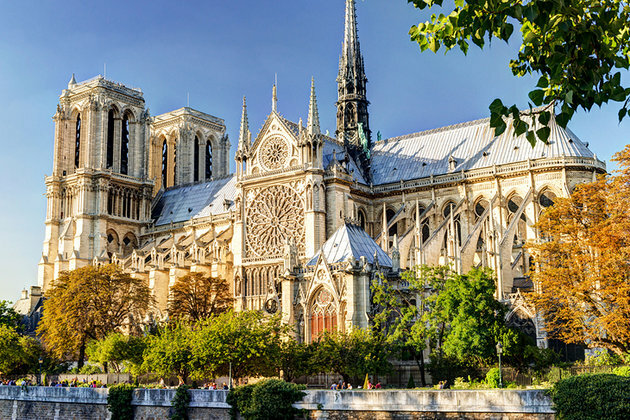 Also visit the Arch de Triomphe and the cathedrals of Notre Dame and Saint Denis as these are also very impressive to look at. The city has many art features that are worth a visit if that is your interest. 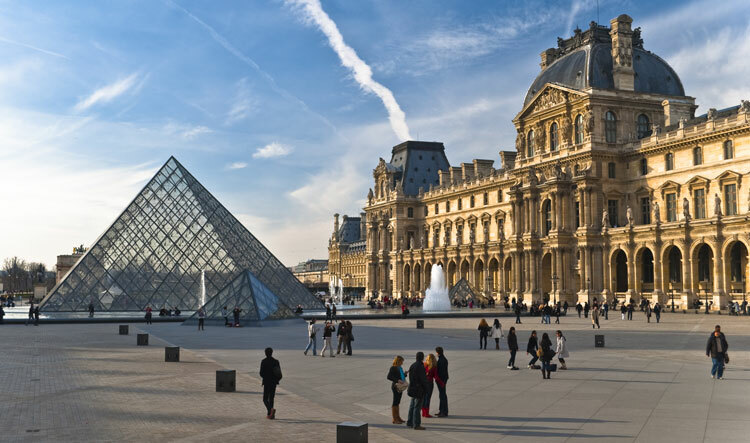 There is also plenty to do in the ways of excursions within and away from the city as well as a relaxing cruise up the River Seine. Paris is quite possibly the best place in the World to shop for top quality fashion. The Champs Elysee is the main shopping area. It has huge shopping malls, perfumeries and entertainment venues. It is possible to find almost any designer brand in Paris. The city has a number of flea markets that offer a nice alternative to the main high street shops.